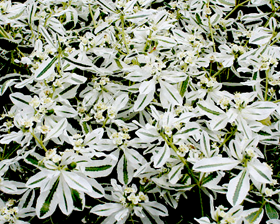 Dwarf, very striking annual with top branching so ideal for flower arranging. 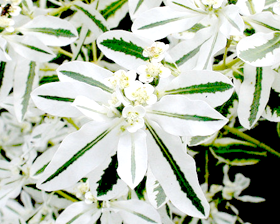 It also becomes variegated very soon after planting outdoors. 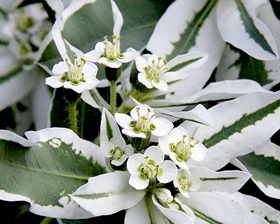 Flowering summer till the first frost. Height 50-70cm. Sow in spring at 15-18C, 3mm deep in a good seed compost. Keep soil damp but not wet. Germination usually takes 10-21 days.